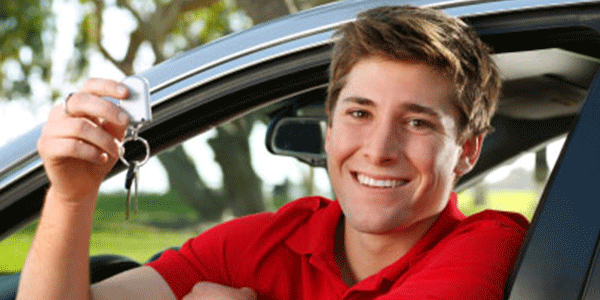 You need a car but you know that you have bad credit can you still get a car loan? You drive by dealerships and look at the cars lined up. Than evening you are watching TV and see a commercial: that states do you have, good credit, bad credit, bankruptcy, repossession, come on down we can help you get a loan. Don’t assume the worse about your chances. The term bad credit doesn’t always mean you cannot get a loan to purchase a car. Even with a low credit score you may get credit for a car as oppose to someone with the same score you have that but they don’t have any credit. It just means you have to go to a dealer and fill in the paperwork for a loan, dealerships know all kinds of places to help you get a loan for a car. The loan officer may give you a loan at a higher interest rate, with a bigger down payment, and higher premiums. As long as you are willing to work with the lenders they can get you a loan for a car. You may not be able to buy a house but you can get a car loan. Take someone with you who can be you uneducated side kick to ask questions so that you appear more knowledgeable than you are. This will allow you to judge the person giving out the information watching to see if you think you are getting the run around. Make sure the terms are what you want and can afford. Don’t just say yes to smaller payments. The long you have to pay back the loan the more money the company can make in interest on your loan amount. Rather than a smaller payment you could give up dinners out or that monthly movie to pay a larger premium. Make sure that the loan doesn’t have hidden features in high interest if payment is late, roadside service. Some warranties can be used as a selling feature at no cost if this is so make sure that cost is not hidden in your payments. You have bad credit but you are not willing to pay for extras to get your loan. Read all documents that you sign especially if you are buying from a buy here pay her dealer. Make sure that your payments are final so that in a few months the dealer can say you’re on a sliding loan that your payments can go up and down at the dealer’s whim. The dealer knows how bad you want to get approved for the car. Never settle on the first deal the salesman offers you remember the more he makes on your car the bigger his check is. He is as hungry to make a deal to make his money as you are to buy that car. Shake your head and say I’m not sure I can do this. The salesman may go back and talk to his boss to see if he can get you a better deal. If you are trading in a car check the bluebook to see just what your car is worth, the dealer ill offer a lower price than the car is worth so they can resell your car to make the money back that they gave you for the loan. This is a common practice. If the salesman comes back with a better offer ask them if you put down say 500.00 will this bring your payments down. You are not changing what the salesman offered you or the size of the loan but with a down payment you could get lower monthly payments. Right now it is a great time to get a loan for a car. The dealers are still trying to sell off the automobiles that are gas guzzlers, like big trucks or SUVs. If you look many dealers car lots are slowly filling back up with smaller cars or crossovers. The country is slowly building back to selling cars and homes when for the last year and ½ sales of anything have been down. So this is a good time to try and buy a car dealers want to make sales to show the car companies that they can sell cars so they can fill the lots up with the newer 2015 models. It is possible to get a car loan if you have bad credit you just have to keep you mind on what you are doing and make the deal that benefits you and allows you to get the car you want. Do your homework so you can understand the terms that the salesman uses and just what you can afford to spend on a car. If the salesman tries to sell you a car that you know you cannot afford stick to your guns and buy only what you can afford. It would be nice to drive home in a 2014 Hummer when your finances say you can only afford a 2012 rabbit. You don’t want to get into trouble you want a car you can afford to build your credit standing back up to a higher number, so that maybe in a few years after making payments on time you can afford to trade this car in for a better deal for a newer car. Buy what you can afford and not be car poor.